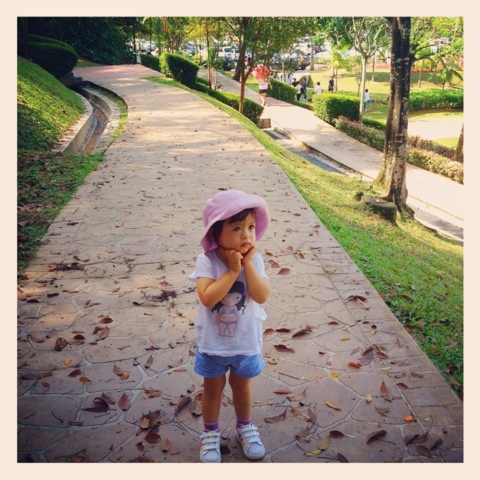 Tweet Walking with my 2-yr old daughter at TTDI park is a lot of fun and discovery. Last weekend the weather was superb and we took advantage of the beautiful morning. While daddy jogged, we walked around and she discovered new things. Now she can say "monkey on a tree" because we saw so many small monkeys. We also saw tweety birds, butterflies, turtles and fishes. All that for free ... As they say, the best things in life are free! I urge you to try out an early morning walk or late afternoon. The fresh air alone leaves you with that wonderful feeling. Of course, don't forget to put on some mosquito repellant and bring a cap/hat. Your daughter is really sweet! And your blog is full of useful advices, thank you very much. hi Anonymous, thanks for dropping by and glad you find it useful. 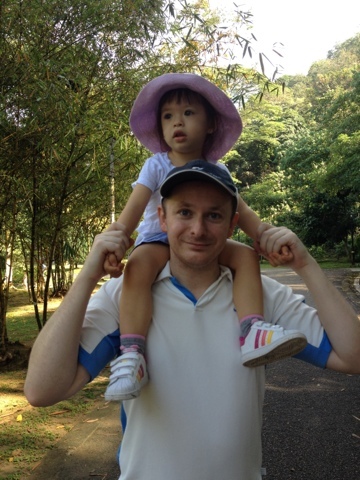 In fact months ago we welcomed some new friends (Swedish-Chinese couple) and they love their life in KL now. Perhaps one of these days I can link you to them. The place where you should stay really depends on some consideration like where you plan to work, and what kinds of surroundings you are looking for. Pudu is not my kind of place so i cannot comment on that. Expat areas are usually Bangsar and MOnt Kiara and perhaps Desa Park City. Those are the top 3 you should consider.